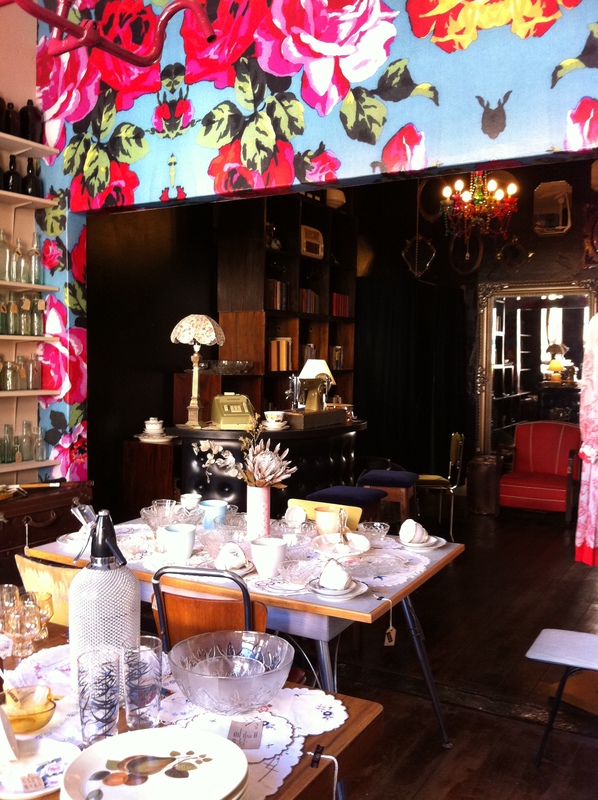 Beautiful bright upstairs space - love that wallpaper! 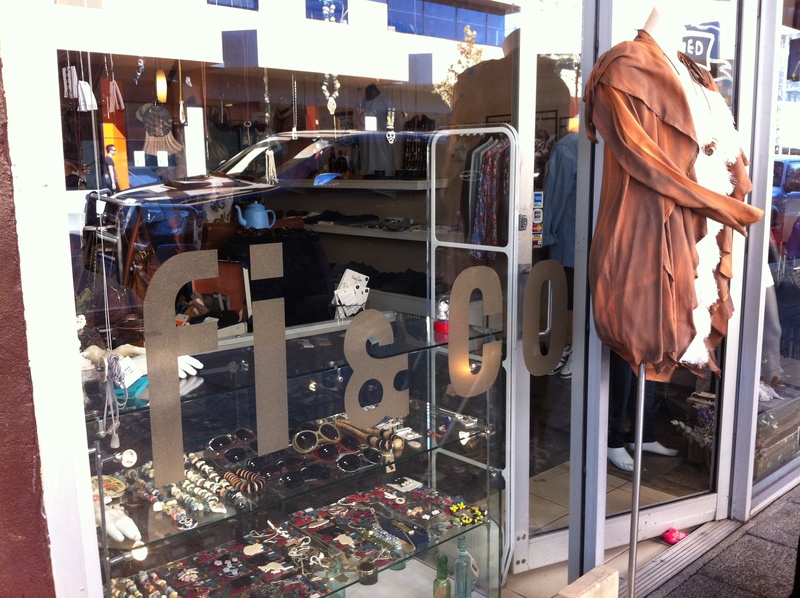 Recently, on a lady date wandering and lunching on William Street, I discovered my new favourite store: Fi & Co.
Fi & Co has a beautiful collection of vintage clothing, homewares, books and shoes mixed with a great selection of current, easy fashion items that gel perfectly. 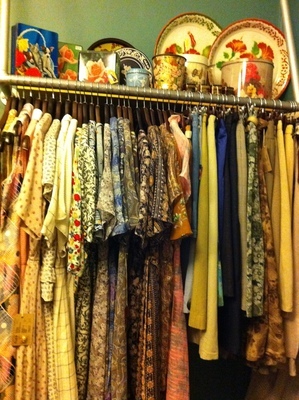 With three sections to the store - front, back and upstairs its a great place to explore on a Saturday afternoon. 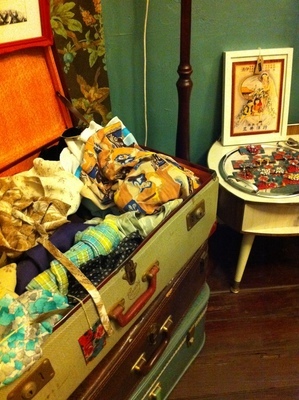 My friend and I loved this place so much we visited it twice in the one afternoon and with every look, we discovered some other wonderful treasure we hadn't noticed on first browse. They also use the top floor space for intimate gigs every now and again and I cannot wait to get along to one of those. The space has that awesome, retro homely feel, well complemented by the owner's old Jack Russel, Jilli, being the shop mascot, greeting all of the customers as they enter (and secretly planning her escape to the neighbouring William Street restaurants). Fi & Co - officially my new favourite store for vintage and more! Too many dresses to choose from! There's another store at the back of New Edition Bookshop in Freo too, much smaller but still filled with gorgeous shoes and vintage gear.